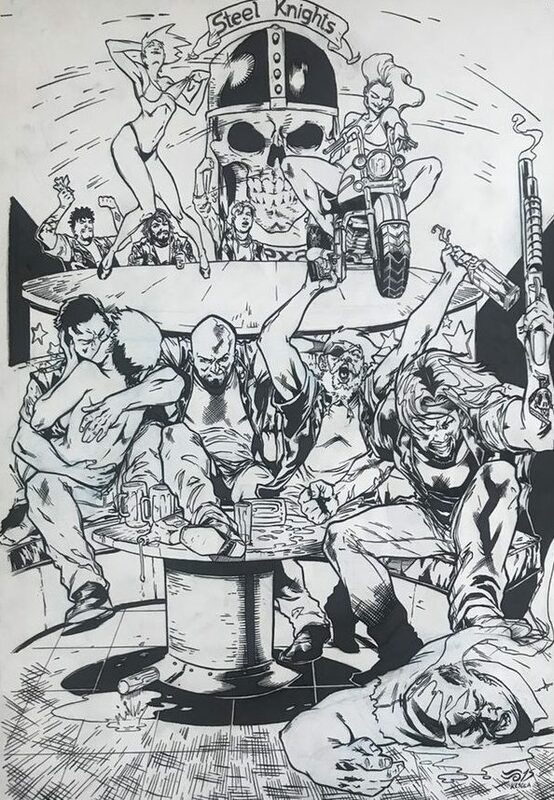 Blood, Skulls, and Chrome is a five issue miniseries of 22 comic pages/each, that tells a tale of the Texas based outlaw MC known as the Steel Knights. It is loosely based on the number 1 Finnish graphic novel illustrated by the renowned writer, Hannu Kesola and the artist, Ville Vainio. With this campaign, we here offer you with the first two issues of this hard boiled crime fiction series. The Texas-based outlaw motorcycle club, The Steel Knights have lost a big deal from the Mexican Cartel to rival the Lake Street Boyz gang. When the two reckless members of the MC kill the cartel’s liaison, the MC soon find themselves fighting for survival against the threats from outside and within. To back the project CLICK HERE.